Epcot’s newest restaurant has an equally new — and incredible looking — menu! Featuring classics like queso fundido and churros coupled with market-fresh entrees like the Parrillada Del Mar — Mixed grill of mahi mahi, shrimp, and scallops — and the Arrachera — a 6 oz flank steak — guests will find a new and different concept of Mexican dining than has been seen in Epcot before. One thing I do notice about the menu is that prices are quite high as a general rule. With entrees starting at $21, you might be better off getting two appetizers if you’re budget dining. 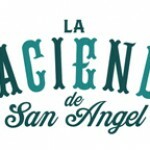 To see the full La Hacienda de San Angel menu, click here. 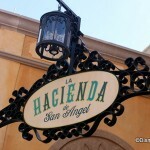 See La Hacienda de San Angel food photos here. The restaurant will be open for walk-ins from September 16th through October 15th. Guests can now make La Hacienda de San Angel reservations for dates after October 15th via Disneyworld.com’s dining reservations website and 407-WDW-DINE. For more details about La Hacienda de San Angel, see our La Hacienda de San Angel info page. It is definitely discouraging to see the prices so high, especially on the heels of Via Napoli’s recent expensive unveiling. My issue with that, and now here, is that we’re talking about foods that don’t exactly come from expensive ingredients. Pizza, tacos, chicken sautes, etc. I recognize that you have to pay for quality…but at the end of the day, we’re talking about food that isn’t expensive anywhere you go, whether it’s Rome, Mexico City, New York City or Los Angeles. Except apparently Florida!! Also, I’m not even that thrilled with the diversity on the menu. It’s a bit restrictive for my allergetic wife. And the options are slimmer than the usual Table service restaurants. 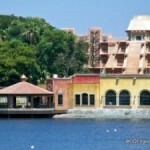 I had high hopes of trying to get a walk-in dinner spot for Illuminations viewing when i go in early October. But i don’t know that this is enough to make me break any of my ADRs. I totally agree with Jason, those are some really steep prices and truly aren’t worth the effort especially when you can go somewhere else and already know that the food is great. Not worth the effort for meals starting at $21. Normally I would agree about the high prices on this menu and several other places at WDW. Here, in central NC, restaurant prices usually are reasonable. But I just got an email from Maggiano’s Little Italy in Durham advertising their new Sunday brunch buffet at $26.95. If you don’t know this chain, it is a nice, step up from Olive Garden and fairly priced. But they are charging more for the brunch buffet than the Disney buffets. Maybe this pricing is, unfortunately, the reality we will have to live with. Geez people! Disney’s stepping up their game and trying to provide more authentic cuisine, and you can only complain about the prices? La Cava was a great step in that direction, and La Hacienda is expanding that philosophy. I’m more shocked that people actually thought this would happen at low prices. I think most everyone that enjoys creative/authentic food and drink are excited about the new restaurants. Hopefully, this trend will continue into some of the other parks. Great discussion, all! Keith and Alan, I see your point — we need to give it a shot before complaining, eh? 🙂 I’ll take that advice and carry it with me into my regular life, too (it’s something I often hear from my husband!). Jason and Josh, I wonder if what we’re paying for also is the view. I think many folks would pay a premium for the Illuminations view there… Hmm..
My view on this expands much past this particular restaurant. I think the dining plan has forced Disney in the last few years to change their menu prices. Those with annual passes, locals or those staying off property end up paying “the price”. The food all over property is crazy expensive. But I love the experience of dining on property, so I take the bad with the good. Look nobody expected $5 tacos or a $7 pizza, but the fact of the matter is the prices skew ridiculously high given the TYPE of food being served at these new eateries. 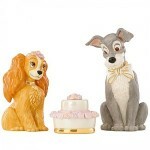 I don’t think any critics are NOT taking into consideration all the bonuses and quality Disney brings beyond the food. I certainly do. But the reality is in this economy, it would be nice to see Disney find some middle ground. There’s no way to “slice” a $28 pizza as a justifiable price in my book. Remember, you’re paying WAY more to even get in the door at Disney these days than ever before. So you need to find a break somewhere. And honestly, the menu at Hacienda isn’t really even diverse enough to warrant the wonderful view. It’s oddly short on menu items. 5 or 6 more options and i may have bit the bullet and tried it anyway (like i’m doing with Via Napoli). Admittedly, I can see Jo’s point about the dining plan. If you are utilizing that the proper way, you are getting these meals at a discounted price. And maybe that’s what their angle is. Janna — Oh, I’ll be trying the churros! Jo — Me, too. I don’t usually get the dining plan — I take my AP discount on the room and run with that — so I end up paying the cost, too. I think I’m in your camp on price in that it’s always been expensive, so this is no real shock; but I do want them to keep up on quality. Jason — Thank you so much for the comments. There are definitely two sides to this debate. I don’t see the dining plan as that great a deal when it comes to our circumstances, so I feel we’re getting a bit shafted on that one, but we’re making the decision to take our discounts elsewhere. Maybe that’s the point. WME — Are you going to try out the Cantina? All…it’s a great topic! I’ll admit i’m viewing it all through a certain set of lenses. I live in northern New Jersey and my state (like many others) is suffering pretty hard through the economic crisis. On the flip side, I live and work near some wonderfully ethnic neighborhoods (as well as New York City) and it’s amazing the values you can still find at mom and pop eateries, which almost always are better than the ritzy restaurants. It’s just all so much more heightened now that people are counting their pennies! Nevertheless, I’m excited for all my october reservations. 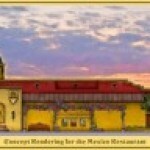 I kept San Angel Inn reservations in my back pocket with the thought i could back out for La Hacienda. Will probably keep San Angel because it affords more flexibility for my wife who’s got a lot of allergies. And i’m not as concerned about the higher prices i’ll be paying at Narcoose’s, Coral Reef, Marrakesh, and Kouzinna because i know that i’m getting more bang for my buck. Jason — Agreed that the mom and pop spots are often better than those with much bigger budgets, but sometimes you’ve got to hunt for the really good ones (which makes it kind of a fun game, actually) 🙂 Let us know if you decide on San Angel or Hacienda!